My, how fast this year has gone. We are in the final stretch, heading back to Utah the end of this month. For our new senior friends who headed out from the MTC, with us, most are 2/3 through their missions and wondering where the last 12 months went. Since this is a year in review, I will select a few highlights. We have taught almost 200 lessons from the Doctrine and Covenants, Pearl of Great Price, and Old Testament over the last 12 months. In the process of that, Elder Heath and I have become a pretty good "tag team," as I have mentioned before. We have used our decades of study and dependence on the Lord to buttress and sustain our teaching and felt the Lord many times in our teaching. When you have the Lord's word to teach and the Holy Ghost bearing witness, it doesn't get much better than that. make" anyone but encouraged them off their comfort seats of status quo in boy-girl relationships. 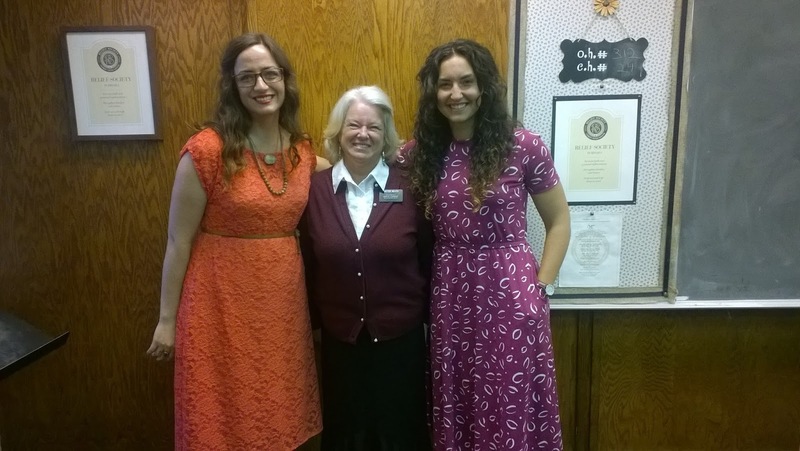 After all, what is YSA all about anyway? Our favorite times with them was church, BBQs, talent nights, temple nights and gospel discussions. 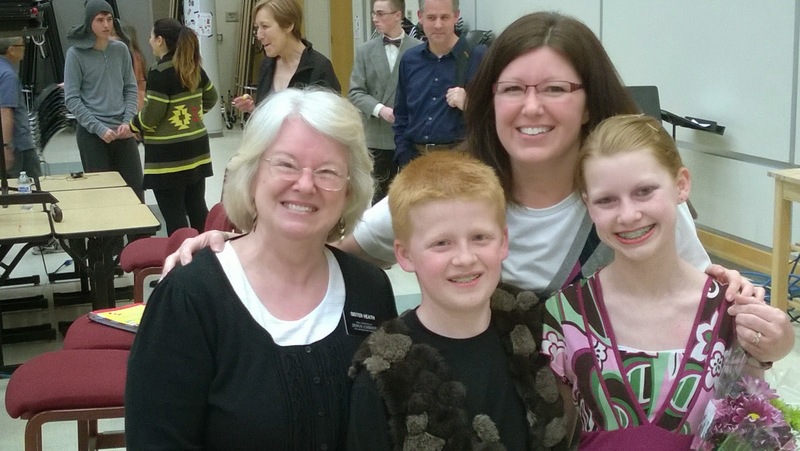 We read the Book of Mormon in 90 days with one ward, an unexpected goal completed. While here Elder Heath reread the 7 volumes of the History of the Church, some of which supported his already "meaty" lessons. Driving by the Seattle Temple almost every day was its own sweet perk. We happily attended the temple nights of both wards. Though we are a bit on the "fringes" of the mission, in that CES is under its own umbrella, we have made some sweet acquaintances with other senior missionaries and some of the young elders. The CES personnel have been a pleasure to work with. One special couple that works with us, assigned from the 5-stake Board of Education, turn out to be relatives of Elder Heath's uncle George, so we got to work with "cousins" as a sweet bonus each week. Brother Hansen is also a dentist, someone Elder Heath and I both needed professionally this year. 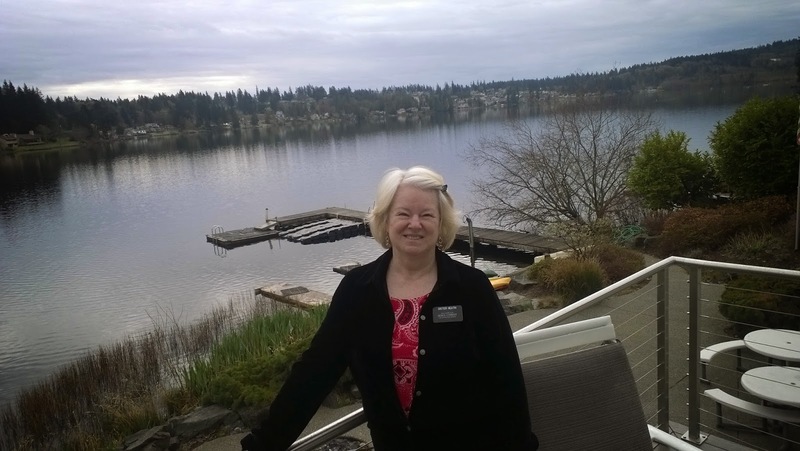 There are some things we missed out on--getting with friends and family who live somewhat nearby, going to the lake house in Bremerton, getting to Mount Rainier (though we saw her many times in our travels and she still takes my breath away), births and baptisms of grandchildren, for example. But our time was well-spent and I am so filled with happiness and gratitude for this special experience. I know I have said it before, but a senior mission is the best kept secret ever and the fulfillment of a dream I never knew I had. Have had a couple of those in the last few years. And though we look back at the "more" things we could have done, we believe the Lord is pleased with our efforts here. 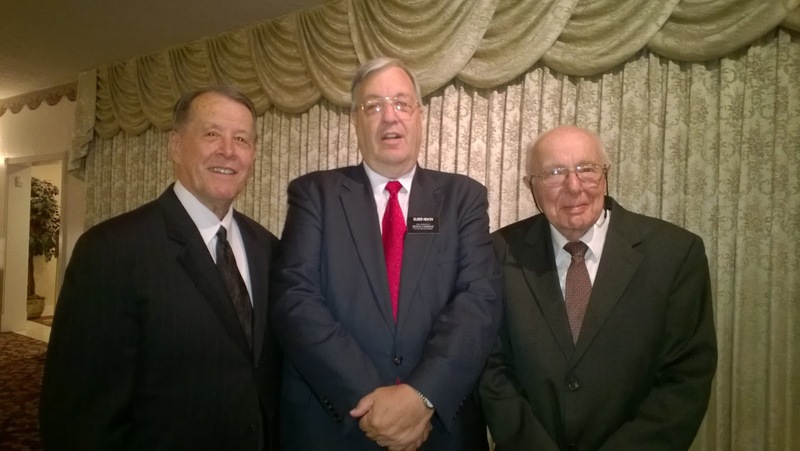 We are grateful to God for sustaining Elder Heath's health while here. Because of the promise in D&C 84:33 (the renewing of their bodies), I never had any doubts that Bruce would be able to fulfill his duties here, and though we have carefully "paced" our way through, his strength was sufficient. That is not to say we will not be glad to get back to constant doctors' oversight, but it has been enough. Many, many thanks to daughters and their families who took Steven under their wing, making this mission possible, Steven is currently with Heather 15 minutes away from us, for his "last leg." He is a "new and improved" version under their care and keeping, Our heartfelt thanks for your sacrifice and for loving our special boy. Next for us is to move back to Utah, this time to Salt Lake. We have a home about half way in between Becky and Crishelle. We are so looking forward to this reunion. It has been Heather's "turn" living near us these last 12 months and we have so enjoyed their family in the many varied opportunities that occurred, including singing with Heather at ward and stake events, kids' concerts and plays and sports, holidays, and a 4 mile run in September. Thank you, Heather and Rafe, for adding so much to our joyful experiences here. Steven will get back to work with Northeastern Services (adult day program) and to a YSA ward in our new stake. He is excited for this new chapter in our lives and has already scoped out his territory in the new house. It is, of course, bittersweet to be at this point. We have loved every minute of this mission. Elder Heath and I have grown closer and more appreciative of each other's talents and qualities. We have felt valued and so very grateful to have done our small part in building God's kingdom in the land of my birth, It is with heavy hearts that we say good-bye to all that has brought us joy here. We have felt your prayers and support in our behalf. Because of the great joy one feels when serving God, we look forward to future opportunities to take what the Lord has given us and serve out our days. Our "homecoming" has been scheduled for December 27th at the church on 4th North and 4th East in Springville at 1 p.m. All are invited, of course. With all the chaos of the world today, how very important it is to "hold onto the rod," the word of God. It is our guide back to God. It is our hope in dark days. It gives us purpose in every day as we strive to lift God's children and serve and build. We anxiously await His coming. It is hard to type those words in the title, but our reality is that we will be heading home late next month after our 12 month mission. Oh how fast it has gone! I have done a poor job this month taking pictures but I will include a few personal ones for interest. We are allowed exercise time each day, so I was encouraged by my Heather here to train for and run in a Labor Day race. Others ran 1/2 marathon but Heather (after knee surgery), the grandkids, and I ran 4 miles. I finished 8th in my age group. At my age and circumstances, I am just glad to have finished. 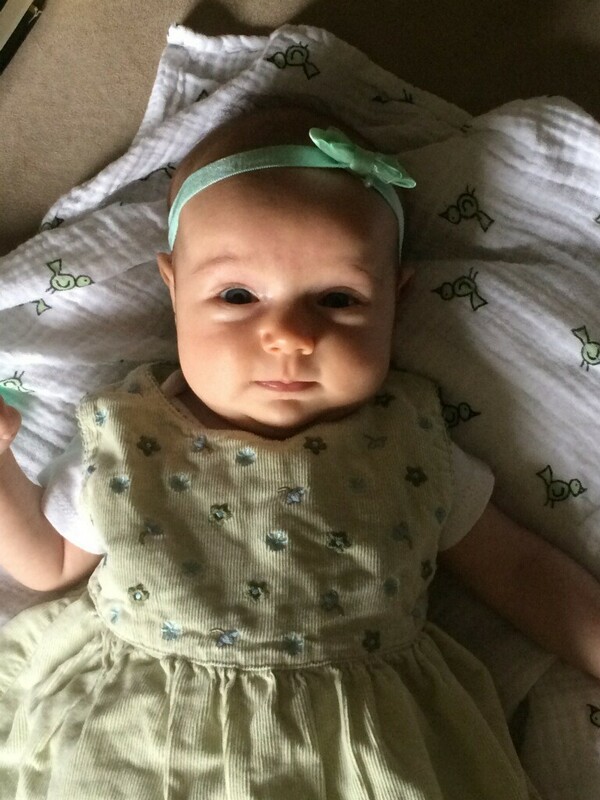 We have had 2 granddaughters born while on this mission, one to Crishelle in Utah and one to Michael in Wisconsin. 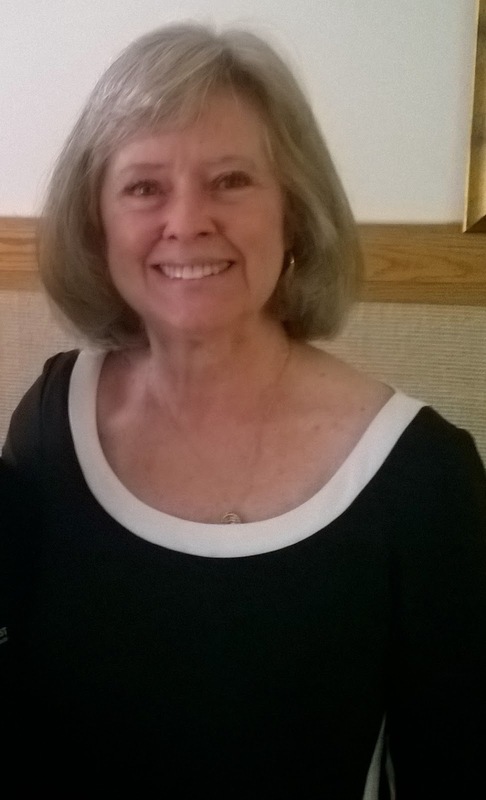 We saw Michael's Miriam at Elder Heath's mother's graveside service in Idaho in July. 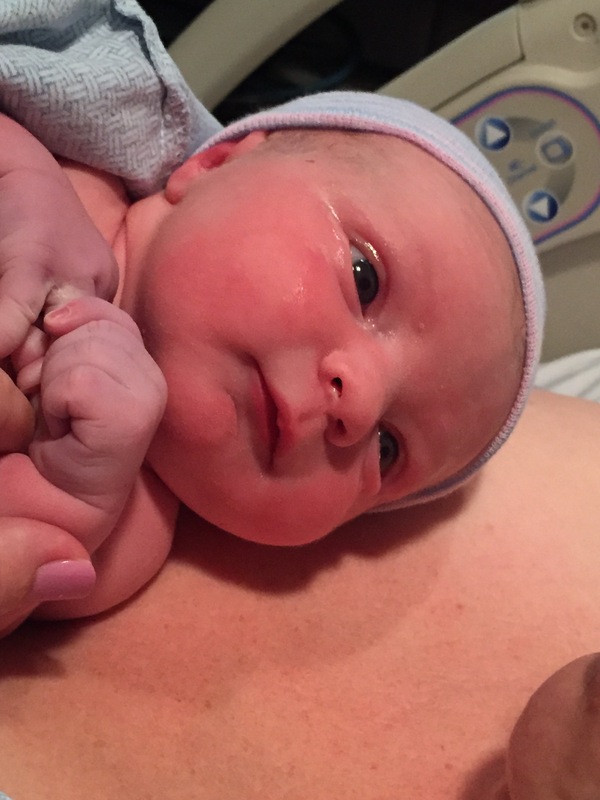 Anxious to meet Rylee Quinn. 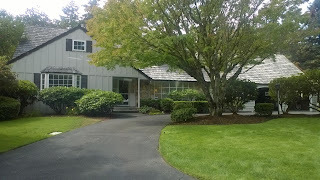 We made an offer on a home in Riverton, which was accepted, and will be able to move in on our return. Becky took Steven through it so he can look forward to our moving on to a new phase of our lives in a matter of weeks, having seen where he will sleep and live. The last leg of his travels is here with Heather in Seattle. We will take him to our YSA wards and Institute on Sundays and Tuesdays while he is here and then home with us upon our release. He has just done great these last 10 months. Thanks, of course, to dear children who have made this all possible in taking on that responsibility for us this last year. One of our wards' bishopric held Conference at their home with a big breakfast brunch in between sessions. Clearly the local leaders are doing all they can to further the work here with these young people in providing safe and happy events. We are so overjoyed to be part of their lives at this time. We continue to love our mission. This CES mission was the best for us in so many ways. We love so much to teach these exemplary young adults and associate with them in their activities. 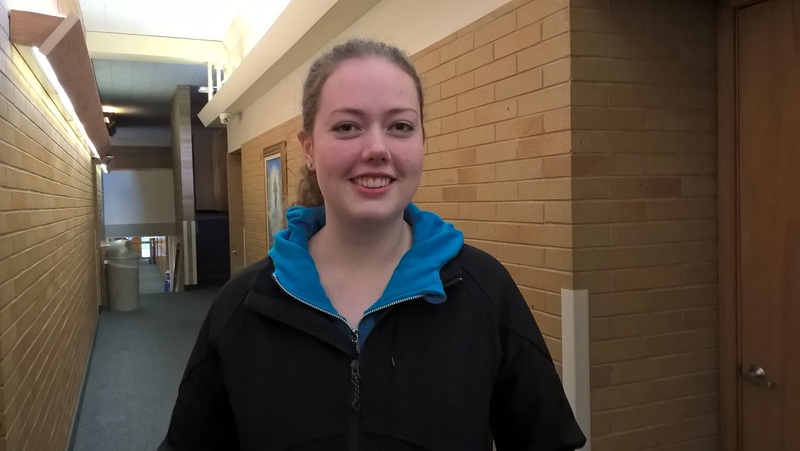 Several are mission-bound or marriage-bound or college completing or running start at Bellevue College (high school students who accelerate their education by attending college before high school graduation). We have enough down time to recuperate from the cooking and the teaching and the lesson prep to deal with any health obstacles that have arisen. Several sets of elders assigned to one of our wards have come to our place many times for ice cream and gospel instruction and discussion. The member-missionary firesides held each month are just glorious as we hear from new converts and the missionary choir sings with heart and soul, Nothing quite like a missionary choir. 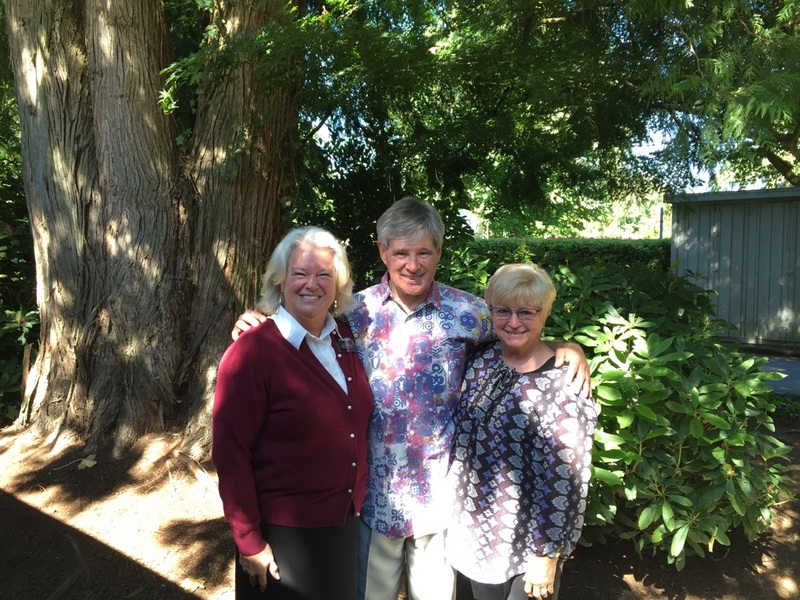 Our new mission president and his sweet wife, President and Sister Schofield, are just great. Because of their association with our good friends, Jack and Janice Parker from Springville, we have a more familiar association with them than we did with President Choi. CES missions are a different assignment than most senior missions, as I have mentioned before, and are not in the main flow of mission activities, but as Sister Schofield says: We each have our own assignments and responsibilities. As mentioned before, our assignments come from CES. And President Schofield is our ecclesiastical leader. We were particularly uplifted by all the sessions of General Conference this last weekend. I loved the support for new apostles. Some of you may remember that Tina and Jason's wedding was Elder Rasband's first performed sealing after he became a general authority years ago, (He was Jason's mission president.) I particularly missed Elder L. Tom Perry--his voice, his countenance, his always meaningful message. Clearly the Sabbath Day was a thread throughout the messages of conference. Because of what we are teaching at Institute this week, M. Russell Ballard's talk resonated: The "Old Ship Zion" that takes us through the unpredictable waters of mortality. The church is the vehicle we take to get back to God. The Plan of Salvation is the map. No matter our burdens we can be uplifted at church in the associations with God's children who are all trying to progress back to God. Prophets are neither perfect nor infallible but God's mouthpiece for the direction of our lives. And, oh, the rewards yet to come. Sail on. Thanks to all of you. We have felt your support and your prayers. We are so proud to be counted among God's serving missionaries and so very grateful for this assignment. Love to you all. Elder and Sister Heath. Elder Heath's mother passed away in July, so we ended up having a sweet reunion with family and friends in Utah and Idaho for a couple of days. His mother was a good and faithful soul every 92 years of her life. So many of my good recipes are hers, including the toffee that I make at Christmas and the cran-apple jello I make at Thanksgiving. 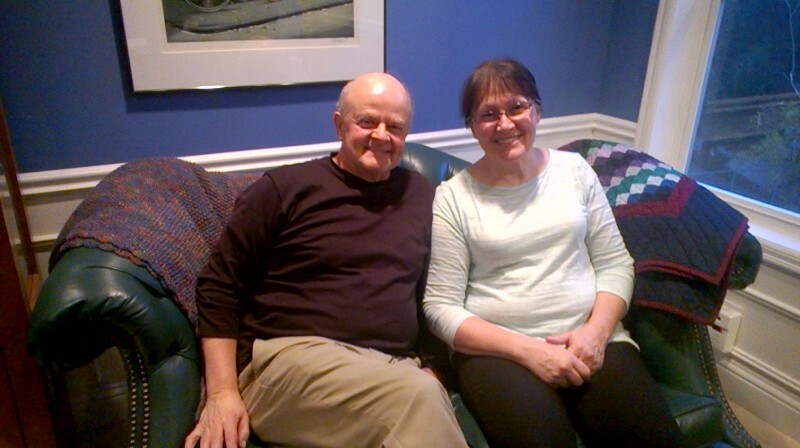 She taught me how to make homemade noodles, a mainstay in our home over the years. She and Bruce's sister taught me how to crochet, which has been a lifetime enjoyment to me. Elder Heath will miss his weekly visits when we return, but know she is happy to be where she is now, Again we are grateful for the knowledge we have of good works and eternal reward. We have had the most rewarding summer teaching Pearl of Great Price on Tuesday nights. It has been the "high" of the summer for us. Elder Heath and I continue to improve our "tag teaching" with both of us taking the class time. The students seem engaged and their testimonies growing, based on their comments and discussion and eagerness to learn. We have received our fall assignment for teaching at Bellevue College: Old Testament. We will teach through the Pentateuch before it is time to head home and take off our badges. Oh what a glorious 2015 it has been for us. We know when it is time to be released it will be a sad time for us, as we have loved every minute of this mission. We have had the opportunity to visit with our new mission president about our CES responsibilities here. 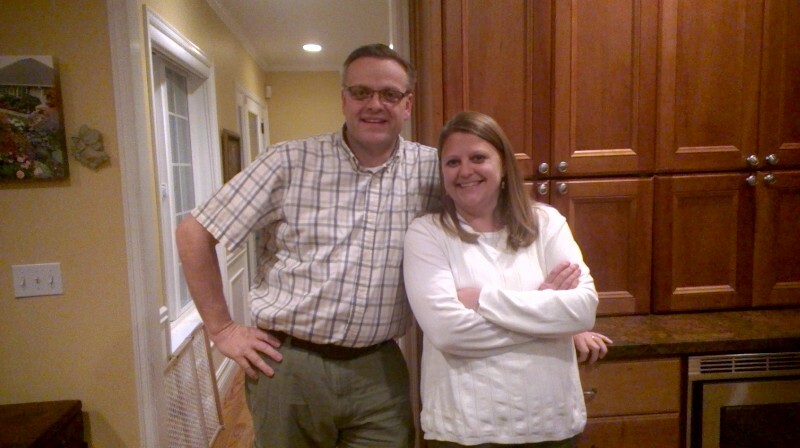 In his mission president training he said they do not really explain about the CES couple missionaries. 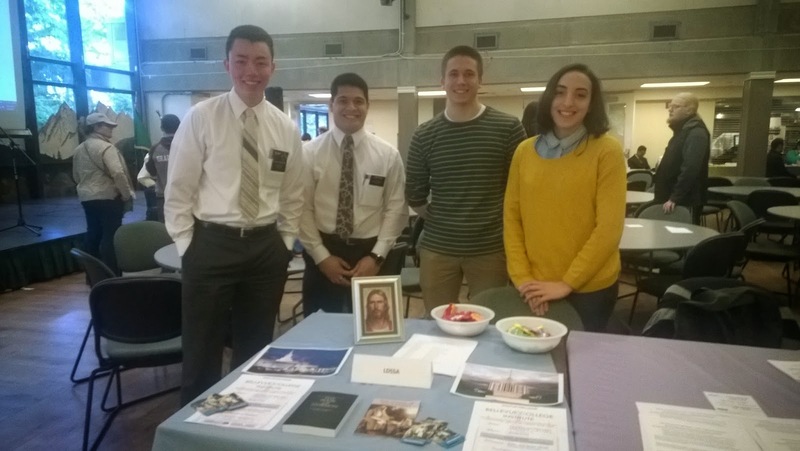 We are missionaries assigned to the Washington Seattle Mission, but our assignments come primarily from the CES Department of the Church. The mission president is our ecclesiastical leader (like our bishop or stake president). We had a chance to re-read our mission calls and they say we are called to serve in the Bellevue Institute in the Washington Seattle Mission. We do participate in the member-mission firesides put on by the mission, baptisms, and quarterly senior missionary FHE, but our assignments are primarily with the Institute and Young Single Adults where we cook, attend their personal activities, teach, "recruit," and associate with them at their church meetings and activities. We are given ample time to study, prepare, and research for our teaching assignments. 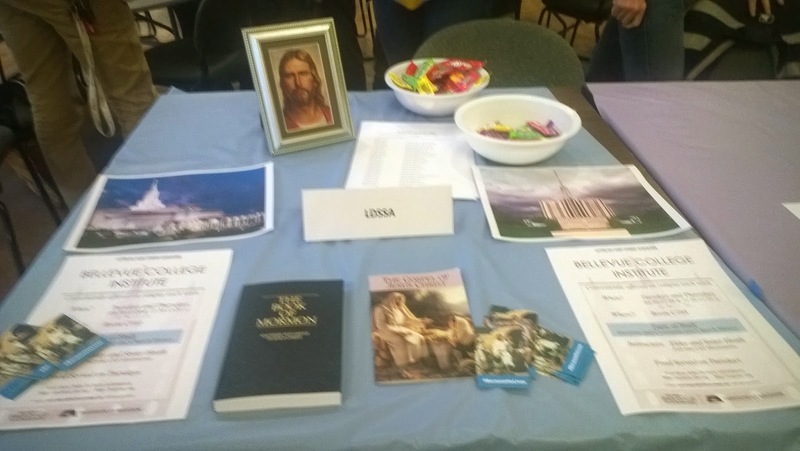 We typically go to the temple (across the street from us) when the 2 YSA wards that we attend have their temple nights. The YSAs are typically very busy and sometimes have as many as 4 or 5 times where they get together each week.. It is really different from other senior missions where our accountability is primarily to CES. And CES responsibilities and activities differ some from mission to mission. Our mission covers 8 stakes and 80 units. Missionary count will top out at 180 missionaries, though President Scofield told us yesterday he would love to have another 10 senior couples. Some of the senior couples who serve here live in the Seattle area, such as the housing couples who find housing for all missionaries of the mission. One of the other Institute teachers is also "homegrown." Steven is currently in Arizona. He will finish up here in Seattle with Heather and then travel home with us the first of December. We will have him more involved in our Institute and YSA activities when he comes the next time, though he will continue to stay with Heather in Issaquah. He is doing really well and the girls have been phenomenal with him. Thanks to the husbands and children, too, who have been a part of his care. They make it possible for us to be here. We will be eternally grateful. 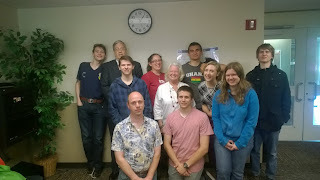 We have finished up our quarter at Bellevue College. Won't resume teaching there until the Fall, but are slated to teach Institute, Pearl of Great Price, on Tuesday nights for the summer at the church behind the temple. Inserted is a picture of our college students minus one. It was a rewarding quarter, as we added to our initial class numbers and finished up the Doctrine & Covenants curriculum. We learned to love these kids. Most will not return in the fall, so our closing class had a sadness to it, but we gave them our best stuff and the Lord's good doctrine and all of our testimonies grew as the Spirit testified to truth. With Christ at the center of it all and the plan of salvation to show them what can be in store for them if they are valiant, we found hope and happiness and optimism with them in a dreary and wicked world. Several are going on missions or going to BYU or BYUI and we hope we sent all of them out a little better prepared for "the places they'll go,"
We have found so many funny connections, as the church makes the world small: missionaries here that know our new friends from the MTC who are in Scotland, a dear brother who we work with in Institute whose aunt was married to Elder Heath's uncle in Idaho, several who have connection to my brother, Steve Bramwell--knee surgery or church basketball or he was their bishop or in their stake or they went to a fireside he presented on surviving his plane crash or UW football, our daughters' Seminary teacher from Boise who heads up Institute at UW and will soon be the regional director of Seminary and Institutes here, a man raised in Plain City, Utah, a little tiny town where the Bramwells started out, a student in our college class that lived in Silverdale and knows and loves my sister Pat Dodge, one of our YSA's grandfathers taught in Seminary by Elder Heath's father in Idaho. Our replacements from Colorado have received their mission call and we have talked to them. It is sad to be talking about our replacements but we realize they need to have things set for the next quarter when we leave, We can tell them how our last 6 months have been but things may be different for them when they come because they will have a new "file leader" and a new mission president. We will miss Brother Manwaring who has been awesome, in today's vernacular, but is being transferred to the Tacoma Institute. We look forward to working with our new director, Brother Ron Moore. 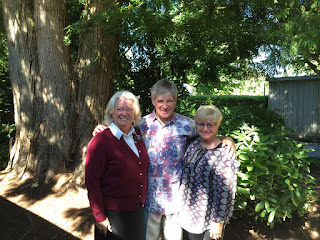 The new mission president is good friends with the family of one of our very best friends in Springville, so the connections continue. Our current mission president's next assignment is in the area presidency in the Far East and will be "over" our granddaughter who is serving a mission in Japan. This next picture is of two precious girls from the Sammamish Valley YSA ward who just recently took out their endowments on the same day. Since I am in the land of my birth, I would like to include as part of this post an excerpt from my "Home" essay that I wrote years ago that I shared with our students the last week of class: "If home is where the heart is, then I am a well-traveled girl, who has been to the heights of heaven and the depths of hell and found love and peace and joy in a seemingly mediocre existence. You can find "home" again, too. You can find it as you strive to make your home a refuge from the world. You can find it within the walls of a church whose only goal is to help very imperfect people be better tomorrow than they are today. You can find it in the presence of your children as they incorporate the eternal values and await your direction to lead them to a better life. You can find it in discarding the shackles that bind you when you choose things contrary to the laws of God. You can find it in the great sisterhood of the gospel where there is instruction and friendship and support. And most of all, and best of all, you can find it in the loving arms of a Heavenly Father who waits for you, anxiously hoping to hear you say, "Father, I am coming," where instead of walking away from the light, you turn around and face the Son and take that step towards "home." Hello Dear Ones, wherever you are. I report on a beautiful sunny day in Seattle. There have been more of those than we thought there would be and haven't even considered "growing" our "duck feet." This weekend I celebrate Mother's Day in the land of my youth where I am able to remember the legacy left me by faithful parents in God's country. Elder Heath celebrates a birthday this weekend, too, for which we are grateful, given his life-threatening issues of past years. His health status I would describe as stable. The Lord has truly blessed him with sufficient health to fulfill our responsibilities here. One of the "perks" of being here is to have Heather and her family nearby. Brock and Kaylee were in a musical which we attended. Heather and her husband ran a half marathon the weekend after this picture was taken. It is an old song now, but we are loving this mission. There will be a changeover in July of both our mission president and our file leader for CES. We finish up teaching the Doctrine and Covenants next month and will teach Pearl of Great Price over the summer. Except for maybe Book of Mormon, could you ask for better curriculum? Even though we are not connected specifically to the proselyting activities of the mission (we mostly teach, cook, attend YSA wards and activities), we still try to attend all the baptisms that we hear about in the area. We love "hanging out" with the YSAs and sometimes they even value our wisdom and experience. They do appreciate our years of study as they apply it to the contemporary issues with which they deal. 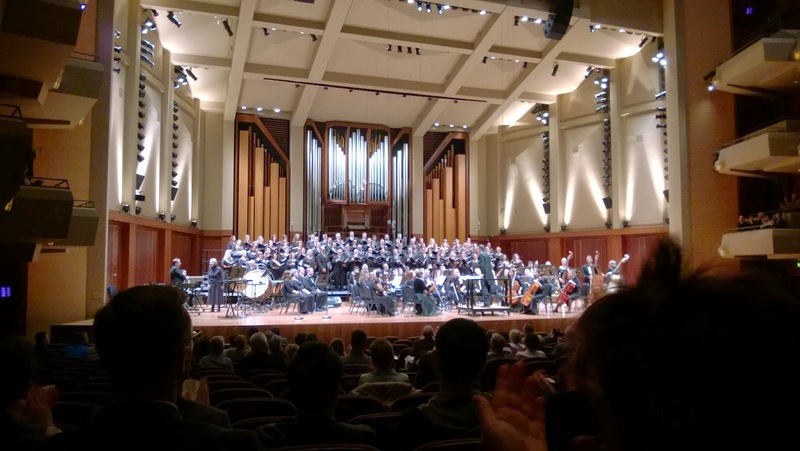 This picture is of the Ensign Choir and Orchestra, a local group that performs quarterly in the beautiful hall you see in downtown Seattle. 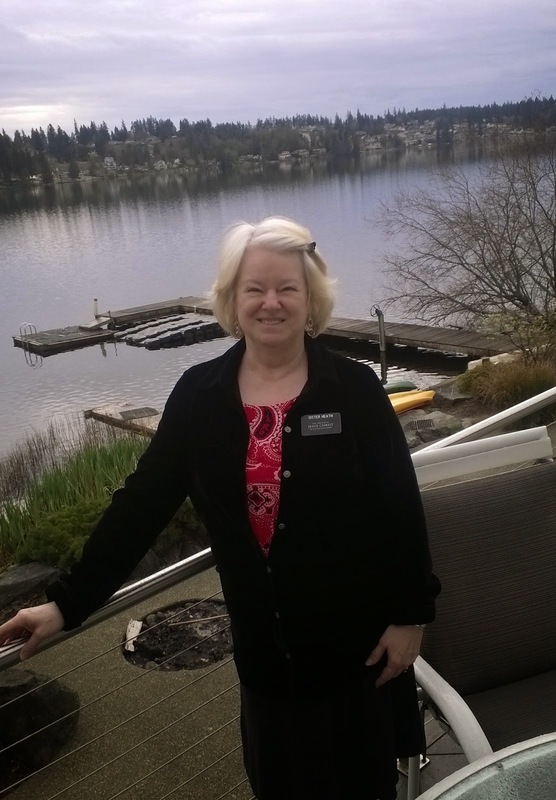 It is a missionary tool and the Seattle Mission invites missionaries with their investigators and new converts to attend. This concert was on the mission of Christ and would take your breath away in the talent and music performed. We are so enjoying our "study" time here, too. Elder Heath has finished the History of the Church (6 volumes of it) and it has so enriched our D&C lessons. I have delved into the Seminary and Institute materials for their insights and lesson presentations. We are still sharing the teaching time mostly equally. Even though we teach different sections of the D&C, Elder Heath enjoys that I "set the stage," typically giving the historical context. He fills in with the precious doctrines and the details from History of the Church. We love the "tag team." This picture is at one of the entrances of the college where we teach. I am peeking out the side. In most ways, with a little different teaching technique, we are teaching the doctrines and principles taught to our own children. My kids could probably guess that I have used the words: Why would you settle for anything less than the best that you can be? Why would you not strive for ALL that God has to offer you? For what would you sell your soul, your eternal salvation? Don't do stupid things that may close the doors of opportunity down the road. Be ALL that you can be. You are of divine heritage! You can do what He does, you can go where He goes, you can be as He is. Be valiant, be true, there is work for you to do here. Do not fear His coming--you are here to prepare the way. I am in touch with Steven at least weekly via Facebook messaging. He is currently in Utah and doing very well. He is so happy we are able to do this mission but is looking forward to our lives when we return to live in Salt Lake City. Some of my children are coming to Seattle in June, including Steven, part of his year of travel to siblings. SO grateful to my children for making this mission possible. It is beginning to look like I will post about once a month. We do not have a specific time set aside in the week for correspondence like the young missionaries do, so it is somewhat come what may. We are SO enjoying this mission. Even though I am growing my hair out and it has been in a "bad hair day" mode for some time, Bruce keeps telling me how beautiful I look. He concluded on one of his insomniac nights that it is because I am so happy here doing what we are doing so my "inner beauty" shows through. I don't know about that part, but we are happy here. We have finished up one quarter of Institute at Bellevue College. We will finish the Doctrine and Covenants this Spring quarter. Don't know yet what our curriculum will be for Fall Quarter, but will be teaching an abbreviated curriculum over the summer at the Tuesday night Institute as a second class offered. I have my fingers crossed for Pearl of Great Price. We are so enjoying our associations in 2 YSA wards and going to their activities. We continue to be blessed by the Lord in learning names of the kids of 2 wards and Institute. 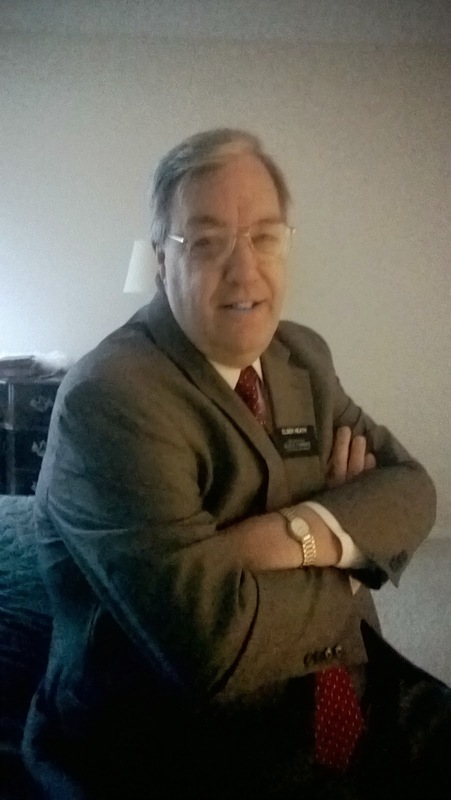 Senior missionaries are not allowed to leave the mission here under this mission president but we were given permission to go to 2 trainings over the last 3 1/2 months outside the mission. 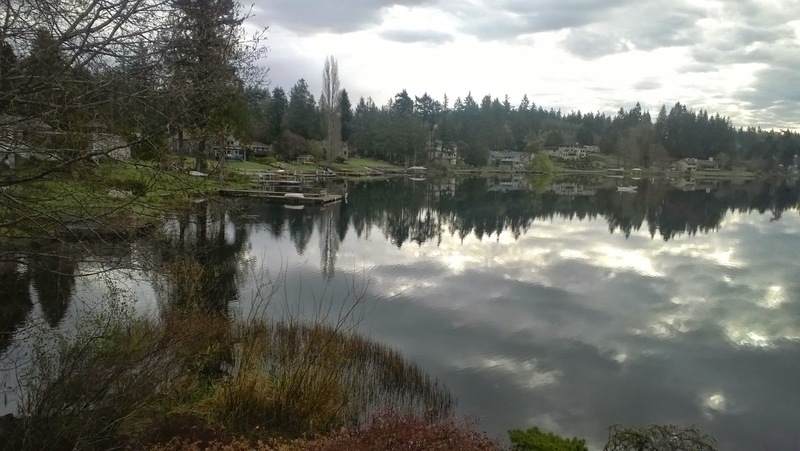 One took us to Kitsap County where we were able to visit the lake property where I was raised. Saw my sister Pat for a very brief visit and she "passed down" some of her clothes to me, as is a tradition whenever I see her. It was a relief to get some new clothes since I really didn't bring much and I was getting tired of them. One thing has really impressed me here. These young single adults are really "in with both feet," as we like to say. They know their stuff pretty well and seriously care about learning the doctrine and living the gospel principles. Christ is not just an "heirloom" as Amy Grant sings. It has been hard sometimes to know when inserting the wisdom and experience of our years is appropriate and when to just let them learn and grow as a YSA entity. I have always been inspired by the concept of Saturday's Warriors. I believe that our generation is also part of that group, as we set the example and teach the truths of the gospel and mentor the younger generations. We "seniors" have our role in the preparation for the Second Coming. And since our "value" in our parent role has changed as children left home and made lives of their own, it is exciting to be part of this work. We so love to teach the precious truths of the gospel. Elder Heath and I have become a pretty good "tag team" in our teaching and feel the inspiration of the Lord in our teaching. Usually I give the historical set up and Elder Heath takes over for the "meat," but I have been able to teach some of the doctrines particularly precious to me whenever they are part of the curriculum. It is interesting to watch the whole dating thing with the YSAs, as our ward members are all looking for a companion and you can't hide that in the midst of the social activities. It is awkward for almost all of them, as all they know is the "group" mentality. You see it at the dances, too. Virtually no one dances as a couple--it is almost all group dancing. We think often of the others that were in our group at the MTC. We are in some touch with most of them to one degree or another, sometimes just following their blogs. We hope they are having as great a time and enjoying their assignments on their missions as we are. Our MTC experience started the mission off right. Some of you have asked about Steven. He is doing really well, currently in Arizona for another couple of weeks and then to Utah for most of the summer, I think. He has improved some of his skills and we will not let him revert to status quo when we get back. His eating and grooming has improved thanks to some great instruction and follow up from sisters. The girls have taken him completely off my plate and we are so grateful because it would be hard to do what we do if I had daily, weekly, or monthly "pull" from him and his issues. God bless you, my precious daughters, and your families. Thank you all so much for your support and prayers in our behalf. We love you all and love the Lord and love this work. Everything is relative. We have been enjoying the winter here in Seattle, rain and all, because we compare it to Utah snow where we would have been this winter and of course the extreme weather on the other side of the country. Also, it has brought back the sounds and smells of my youth in Bremerton, making it all the more sweet. I understand better the whole food thing in working with YSAs. A CES missionary should be aware that food prep is involved, but the great thing that comes out of it is that it shows them you care. My daughter Becky reminded me of that as she contributed to the recipe book that my girls put together for me. We have inserted an unexpected goal for our mission: Reading the Book of Mormon in 90 days, one of the YSA ward challenges. We have added it to our study time each day. And I have loved diving into the resource materials and scriptures for our teaching. Every time I teach I am grateful for the foundation of truth from previous decades that has prepared me for this time. These kids are so great. It is just so joyful to be with them. 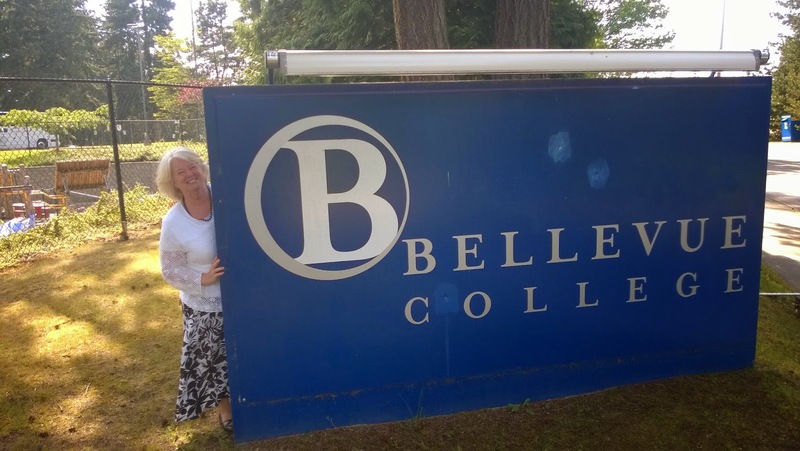 Our two classes at Bellevue College are very different, one with older kids and even an RM or two and the second has mostly "high school" kids attending college and on the "Running Start" program, getting college credit for both school and "religion class" at BYU or BYUI. Our grandson did that at Salt Lake Community College, so we were somewhat familiar with the program. We are trying to attend all the 2 wards' activities, including ward temple night or assignments. We have been given contact lists for "at risk" members and have so enjoyed the visiting that comes with those. I thought I would step back and let Elder Heath take the lead but my "confidence has waxed strong in the presence of God" (D&C 121) as we approach these youth. Elder Heath and I have become a good "team" in teaching. We weren't sure how that would work out but we both love teaching these kids so much and splitting the time is a good model for us and for the kids. Elder Heath had a chance to teach 70 kids this last Tuesday in the night Institute. Several told him after that they felt the Spirit as he taught, so the Lord has truly sustained us in this calling. I have seen so many beautiful mission blogs but not having schooled myself in formatting, posting pictures, etc. before we came (I am sure if I had done Facebook more, that would have helped) I hope you will accept my "stick man" version. We love the Lord. We love the associations of the mission, CES, priesthood leadership, and especially the youth. We appreciate your support and prayers. We feel strengthened by them. We pray every day for Steven and for those who care for him. We thank God every day for this calling, The church is true. God lives. And Jesus is the Christ. This I know. Love to all. Sister Heath.